I didn’t get around to posting yesterday as it was another long day, so it looks as though I’m two days behind now. 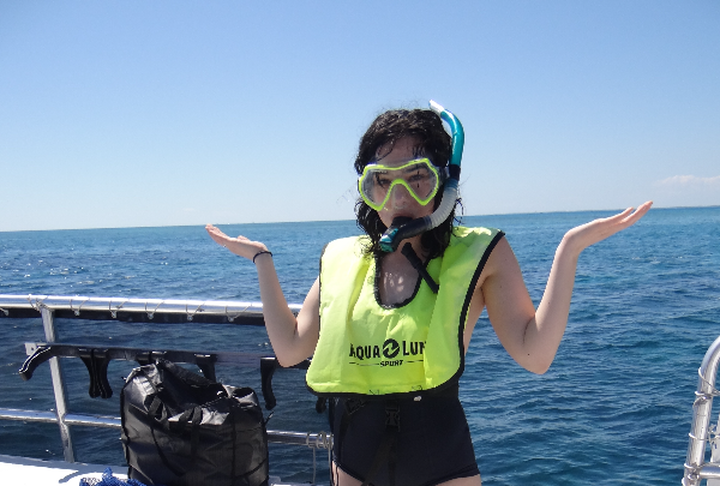 On Wednesday I went out to Key Largo for a day of snorkelling. Key Largo, being the key closest to mainland Florida is an approximate 45 minute drive from Florida City, where I’ve been staying. The key boasts the best snorkelling in the keys, with reefs and wrecks, there’s plenty to take in. This was my third time snorkelling and second snorkelling in the keys. While I love getting a peek into the aquatic habitat the actual act of snorkelling can be quite an uncomfortable experience. The mask and snorkel are a bit irritating and difficult to see with outside of the water. I have a rather large head and actually ended up with a bruise on the bridge of my nose from my mask being too tight. Then there’s always the uncomfortable idea of how hygienic it is to be sharing someone else’s snorkel. Though I have my own, I forgot to take it out with me and was subjected to the “communal” gear. Due to the fact that we went out midday and it being a high tourist season we were taken to less than ideal spots. A favourite place for snorkelling in key largo is an area with an underwater statue, unfortunately we were beaten to the location. We did get to see a ship wreck though and two reefs. It takes about an our to get out to the locations and we were given about 50 minutes at each of the two locations. I saw very few fish and nothing terribly exciting I haven’t seen before. It’s always nice to have a swim in the ocean though and excellent exercise! I also just love driving through the keys, which is one of my favourite parts of Florida. 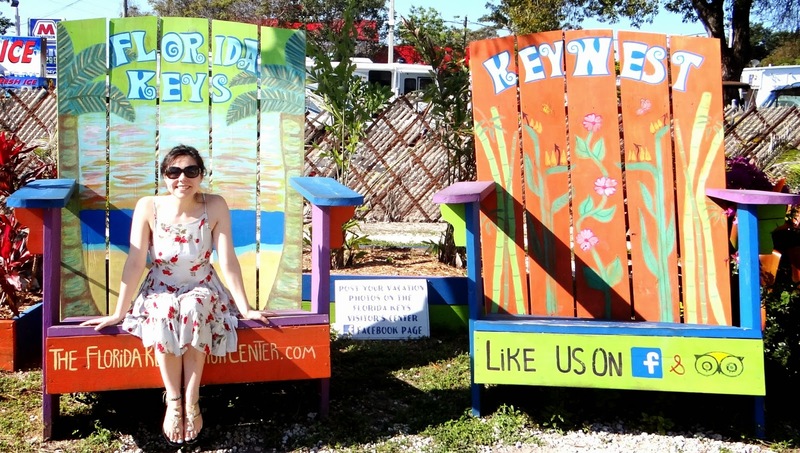 Tomorrow’s post will also involve a trip out to the keys, so stay tuned!